Laura is a warm, thoughtful, tender-hearted person whose life passion has been a devotion to helping heal human beings. As part of her desire to help, she had mindfully observed human beings and engaged in learning & training experiences from childhood. Her current wealth of knowledge and experience has truly been a life long journey. Laura formally began providing counselling in 2002 when she assisted the elderly in Scarborough Support Services through telephone counselling. 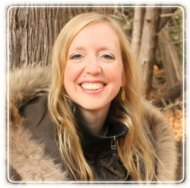 After graduating, Laura worked as a MST (multisystemic) Therapist in Kinark Child & Family Services where she provided in-home treatment services to families and youth. She has also provided psychotherapy and counselling in Westmount High School in Montreal, the McGill Psychoeducational & Counselling Clinic, and in her private practice in Aurora, Ontario. Laura is also an avid Energy Practitioner. As a result of her intuitive and empathic nature, as well as being attuned to finer, more subtle frequencies of energy, she has learned how to integrate her abilities into her work as a Psychotherapist. Laura has done this through her own personal journey with acupuncture, meditation & mindfulness, reiki, creative visualization practices, as well as other energy work. She has received additional training in the emotional freedom technique (EFT), meditation, connecting with and translating higher frequencies of energy, therapeutic touch (TT), and creative visualization through various courses, workshops and mentorship.